Estate planning can help you prepare your family for the future, protect your assets, and evaluate your financial situation and goals. But according to a Caring.com survey, more than half of American adults don’t have a will. Estate planning is actually only a few steps—but it can feel daunting if you don’t know where to start. Use this checklist to make sure you cover your bases. Life insurance is crucial if you’ve got a young family, but life insurance isn’t just for parents. It’s also important if you’d like to leave a safety net for loved ones, make sure debts get paid, and cover funeral expenses. If you don’t already have life insurance, find a policy soon to make sure you and your loved ones are protected. Before you make any decisions, you’ll need to know what you’re working with. Make a list of all your assets, even if they seem small. Start with big-ticket items like real estate, business assets, vehicles, and nice jewelry, but remember to include less expensive things (digital assets, furniture, appliances, books, etc) as well. Document what you owe so you can make arrangements to pay off debts without burdening your family with credit card debt, car payments, or a mortgage. Name beneficiaries on your bank accounts, insurance policies, and retirement plans. If beneficiaries are already named, these assets will be easier to transfer to loved ones. An attorney can help you navigate your state’s laws, decide how to set aside assets for beneficiaries, and make sure you don’t forget about anything important. We recommend meeting with an estate planning lawyer at least once, even if you don’t have a complicated situation, so you can be sure your documents meet your state’s legal requirements. Wills are very personal documents, but in most cases, you’ll want to specify who will be the executor of your will, who handles guardianship of children or pets, which assets will go to who, and how any remaining debts will be managed. A living trust allows you to retain control over your assets during your life while naming a beneficiary for the future. Not everyone needs a trust; we suggest consulting your attorney about setting one up. Once assets are set aside in a trust, it’s much easier to transfer property ownership—if you want to leave specific property to loved ones, create a living trust and transfer assets to the trust so that ownership can go directly to the person you intend. Health care directives usually include creating a living will and deciding who holds power of attorney specifically for health care issues. This is particularly important for anyone with serious health conditions, but it is valuable for everyone. For example, some people may prefer pain management treatment over life extending treatment. A living will includes instructions for how medical treatment should be handled if you’re unable to communicate. Health care power of attorney gives someone the ability to make medical decisions on your behalf if you can’t make them for yourself and you haven’t left instructions. 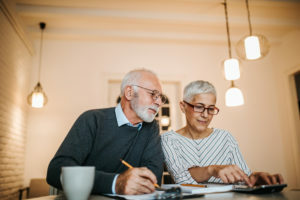 Financial power of attorney is fairly simple—the person you name can make financial decisions for you if a situation arises where you’re unable to make those decisions yourself. Defining end-of-life wishes can be hard, but letting your loved ones know what you want relieves the burden from them at a difficult time. Decide what your wishes are when it comes to things like organ donation, burial, cremation, and funeral services. Once you’ve decided what you want, write down your wishes, communicate them to your loved ones, and check with your attorney about your state’s regulations to make sure your wishes will be honored. While estate planning isn’t fun to think about, it can have huge benefits to your loved ones and ease your mind about their future. Review this checklist to make sure you’ve covered the basics. 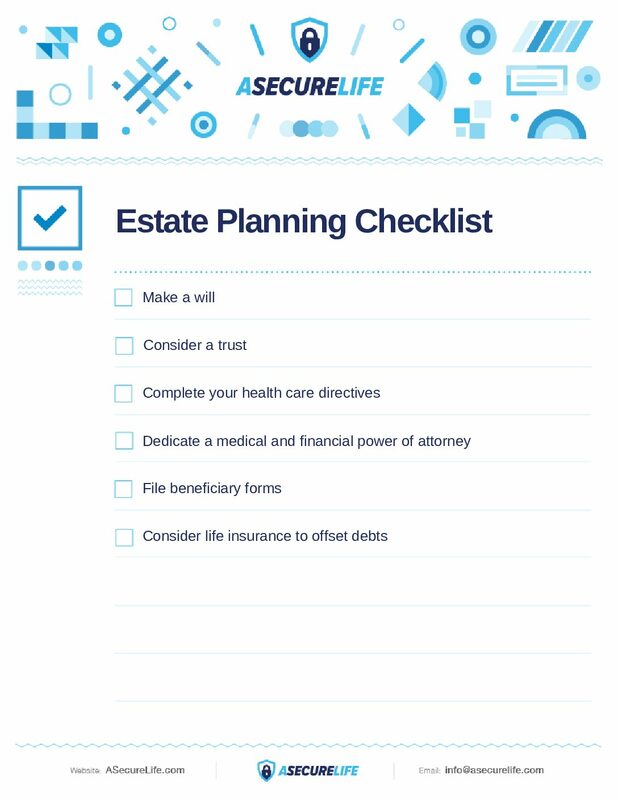 Do you have any estate planning advice? We’d appreciate your input. Share your experiences in the comments below.